- Back to the present. 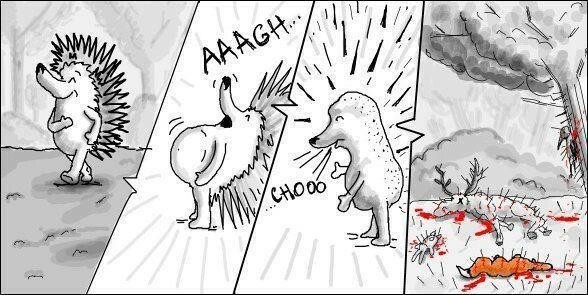 Law and Doflamingo fight. Law admits he's a "D" too. ​- Brief review of all it's happening in Dressrosa (Donquixote Family Vs Mugiwara Pirates/other pirates, dwarfs in Royal Palace...). - In the end ​Law wounds Doflamingo's body by using "Injection Shot". Das Kapitel kommt aber rest morgen raus, oder? Es ist bestätigt das Dedinger ein halber Fishmensch ist. Ja zu grosser Wahrscheinlichkeit kommt es morgen draus. Law heizt dem guten Mingo ziemlich ein ich bin sogar eher dafür das Law Flamingo besiegen sollte und nicht Ruffy. Law hat diese Rache einfach verdient es ist seine Aufgabe Cora-san's Mission zu ende zu bringen und nicht Ruffy's. Diamante hat ordentlich Probleme mit Kyros wenn ich das so sehe war ja auch klar immerhin ist Kyros ein badass :d. Cavendish übernimmt Gladius (nach den Bildern zu urteilen) wird sicher ein guter Kampf ich freu mich richtig darauf da Cavendish mit zu mein Lieblingscharakteren gehört. Franky verpasst dem guten Senor Pink einen Schlag die vor freude ist ziemlich groß auf das Kapitel *-* Zorro sieht nicht so aus als hätte er Probleme mit Pica immerhin spielt er ja auch in einer ganz anderen Liga :d.
Mehr kann ich garnicht dazu sagen weil ich nur auf die Scans eingehen kann bzw nur auf die Bilder weil ich nichts verstehe xD. Ne das kommt schon heute raus sola. Weil die Ausgabe dieses mal Samstag erscheint, denke wir sehen das volle Kapitel c.a um 13-15 Uhr. Chapter 768 That trigger on that day.. The ruin fell in place, in front of Jinbei just now! As Law reminiscence the moment Corazon said he's free, we come back to the present time. Law charges into Doflamingo, initiating ROOM. 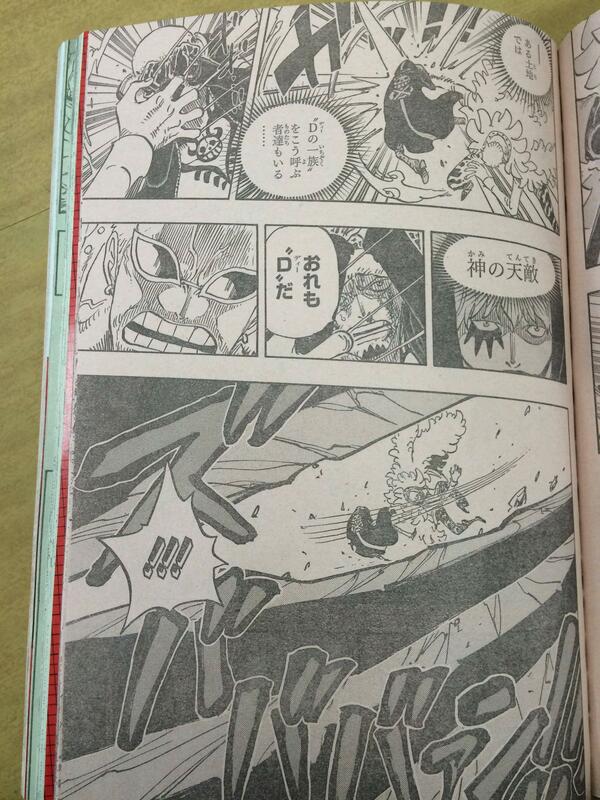 As the two clash, Law tells Doflamingo he just learned of Dofla's Celestial dragon origin today. How do you feel about Monky D Luffy? Or the clan of D? Doflamingo tells him none of that concerns you. Are you telling me the Straw Hat Luffy came to take my head, guided by fate, for being the decendants of gods? Ridiculous. Law then reveals to Dofla that he too, is a D.
Meanwhile in the King's platform, Viola explains the current situation to Riku. There are roughly three battlefields. Straw Hat Luffy has been knocked off from the top of the palace, and Law is struggling against Doflamingo. The Factory is defended by just Senior Pink, and at the giant statue stands Pika. Usopp asks how many officers are left, Viola says there are more than ten still around, but all the major battlefields are about to finish. Barto holds the ground and sends Robin ahead, as Cavendish faces off Gladius. Dellinger dodges Ideo's punches while Vice bodypressee Hajruden. Baby 5 and Sai faces off, she wonders what he just said. Lao G kicks away Chinjao, sends causing him to bleed. 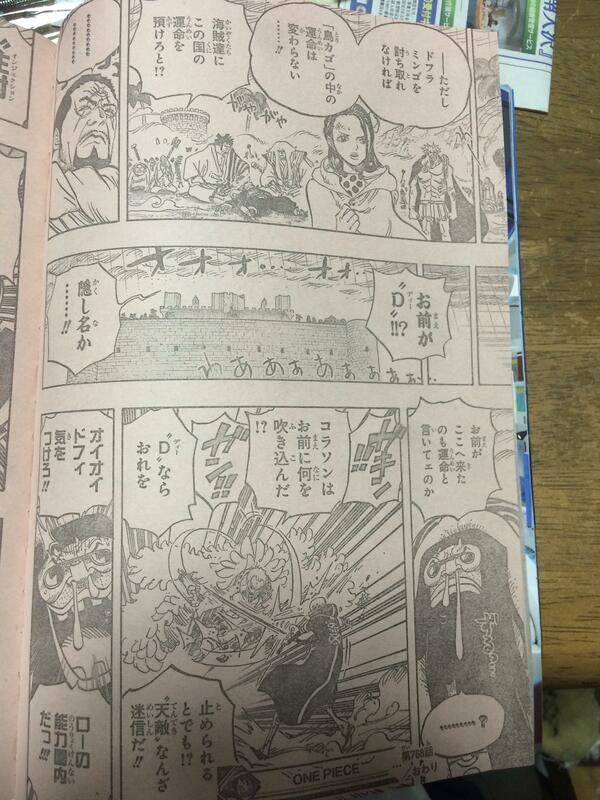 Viola explains that the fate won't change unless Doflamingo is taken down. Meanwhile, Doflamingo is surprised to learn Law is a D, but thinks the whole "enemy of gods" nothing but superstition. He gets careless, and steps fights in Law's zone of influence. Trebol notices his mistake, and tries to warn Doflamingo, but too late. Law hits Doflamingo with a Injection Shot. He tells him he's not here relying on myth about a name... he's here to finally pull the trigger Corazon was too gentle to pull that day! Ist ein 15 Seitiges Kapitel.